I pulled my album favourites from nearly all corners of the music market this year, from mainstream pop and electronic to jazz and soul. The ladies consistently killed it this year with long-awaited arrivals - Adele - and new twists on old sounds - Florence. Adele's third, highly highly anticipated, record-breaking album is everything I hoped for and more. From the opening melancholy-tinged "Hello" to the midtempo hopefulness of "Sweetest Devotion," 25 is an delightful, emotional rollercoaster. 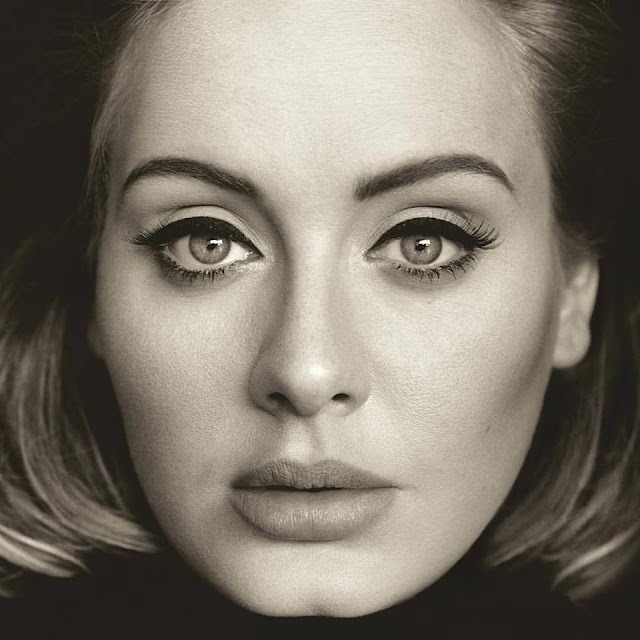 25 features Adele experimenting with different contemporary styles but mainly showcasing her much-missed powerhouse vocals, particularly on tracks like "When We Were Young" and "All I Ask." Last year I put all of my favourites into one post, but with the sheer number of music-related things I loved this year I thought it better to separate books and television into one post and music into another (coming later this week). To make it easier on myself I narrowed everything down to pieces released this calendar year (except for All the Light We Cannot See). I included Anthony Doerr's most recent novel even though it wasn't published this year because it was not only the best book I read this year, but one of my favourite books I have ever read. Set in World War II, All the Light We Cannot See follows two characters - a blind French girl and a curious German boy - and two timelines - their childhoods and their lives' convergence and subsequent consequences in 1944. Doerr won the 2015 Pulitzer Prize for Fiction for this novel, and there's no question that he absolutely deserved it.